Helloooo, long time no speak, I feel like I’m constantly making excuses for why I’ve not blogged, but at least this time I have exams to account for my absence! I’ve been super busy but hopefully this is it now I’m back! Today I wanted to talk a bit about food, I decided that for the first week of January I would attempt to eat vegetarian food for a week and I’ve near enough carried it on up to where we are now! I thought that whilst everyone is participating in Veganuary it would be a good time to try and eat a more vegetable based diet. I spent the first 2 weeks of the month documenting everything I’ve eaten for my meals so that I could do a what I eat in a week post. However I’ve been doing it for so long there’s too much to talk about and I think it would be a bit of a boring read. So instead I thought I’d mention some of my favourite meals that I’ve made and a few thoughts I’ve had during this period of not eating meat. So lets start with the thoughts. Firstly I’d like to establish that I haven’t officially declared myself a vegetarian but I thought I would attempt to see if I could do it for a week and it turns out it’s pretty enjoyable. The aim for me this year is to reduce my meat intake as I want to feel healthier and also reduce my impact on the environment as much as I can. I’m not wanting to lose weight, it’s just that plenty of people have raved about how good it has made them feel eating vegetarian or vegan! Secondly, I enjoyed my meat-free meals so much that I’ve continued on the vegetarian food and we’re now in the third week of January. I will admit that there have been 2 occasions in the 3 weeks where meat has slipped into my meals in the form of a beef stir-fry and a bacon sandwich where I forgot myself and just accepted them when offered. The thing is, I enjoyed it on both those occasions, i’m not sure at the minute whether I would go 100% veggie but I do now think I can drastically cut down how much meat I include in my meals. Another thing I noted was that it is surprisingly easy to find nice vegetarian food on menu’s whilst out and about! 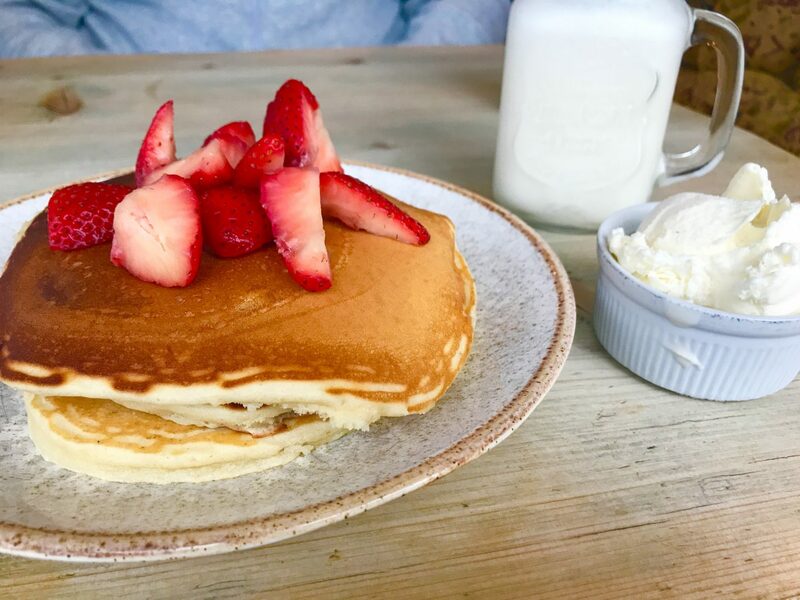 I’ve enjoyed Macaroni Cheese, Pizza’s and a gorgeous breakfast at The Cabin! I expected to be confronted with a long list of strange salads that I wouldn’t like but there is actually so much variety and non-meat alternatives to my usual faves. Half of the time I find myself eating ‘accidentally veggie’, what I mean is that half of my favourite meals are actually vegetarian by default to it doesn’t feel like a chore to avoid meat. 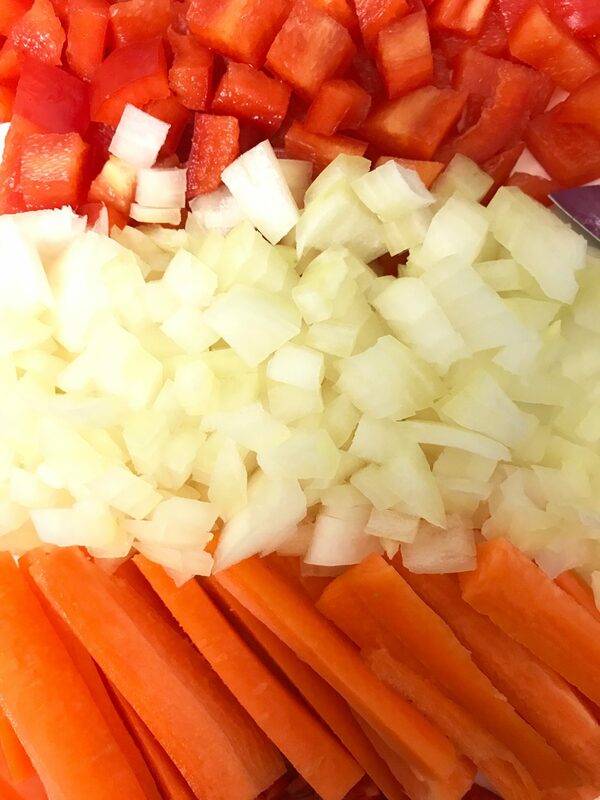 However one thing I have noticed is that I am feeling constantly hungry an hour or two after eating large meals such as stir-fry’s. I’m assuming it’s because I’m not adding enough of a meat alternative such as beans and pulses to replace the protein. I’ve googled it (classic recipe for disaster) and it seems to be a common problem in the early days of turning veggie. So we’ll see how I go with that as everyone who knows me, knows I can get a little hangry so this is less than ideal. So onto some of my favourite meals I’ve cooked whilst reducing my meat intake. 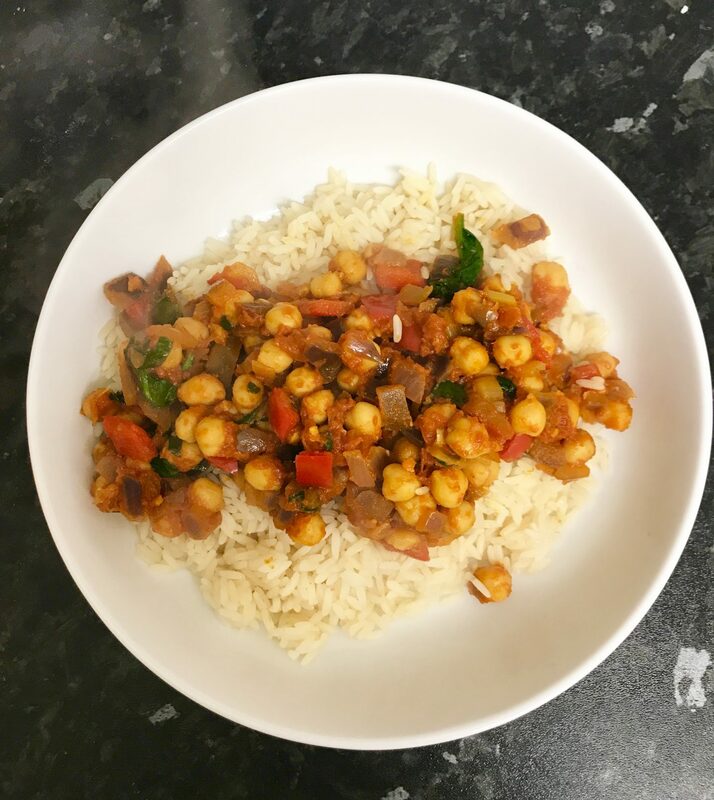 I’ve made my favourite Chickpea Curry from Madeleine Shaw’s book Ready Steady Glow, this is so filling and tasty and I’ve lost track of how many times I’ve made it over the last couple of years. 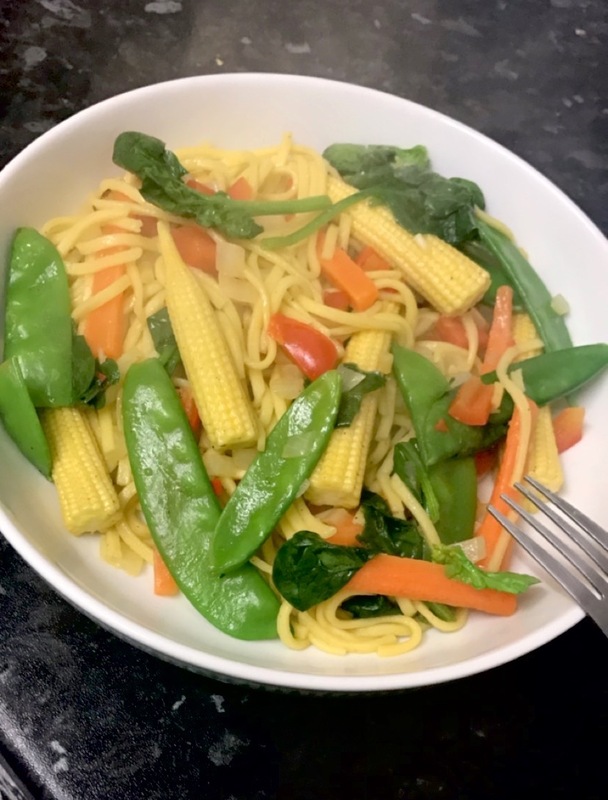 My other stand out favourite is a veggie stir fry, I basically chuck all the veg that I have in, such as red pepper, onions, baby corn, beans and chilli alongside some noodles. Another thing that I’ve loved is halloumi, I find it a good alternative to meat as it’s substantial and filling and can be thrown into many dishes. I’ve eaten it in wraps, home-made veg burritos and to top up a bowl of pasta. 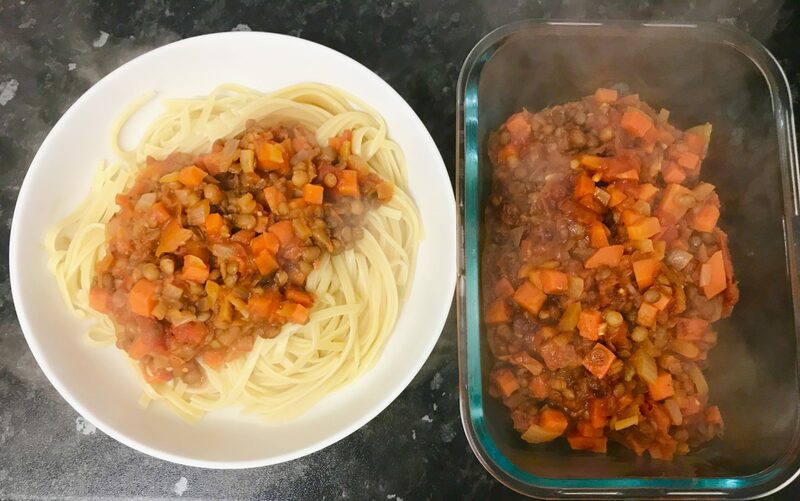 In general I think the most obvious difference I’ve noticed is that I’m being more adventurous with my food choices, such as making new foods from recipes like Lentil Linguine! Overall I feel like this has been a reasonably successful little experiment and I’ll most likely continue to eat less meat. I’m not going to outright declare myself veggie because it’s not been long enough to tell but I think so far I’ve enjoyed it! Let me know any thoughts you have in the comments below and thanks for putting up with me going MIA!